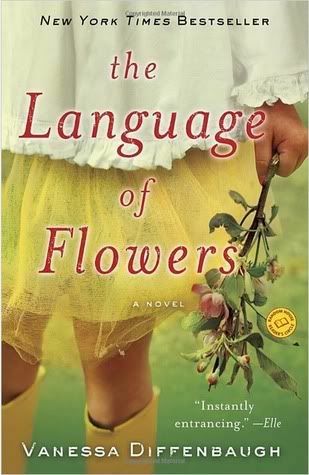 Vanessa Diffenbaugh's first novel, The Language of Flowers, is a bit gimmicky, but at the same time sincere and elegant. The cover and title makes the book appear super-fluffy, but it actually has a lot of depth and serious themes – the foster care system, homelessness, and single motherhood. The novel is built around (literally) the language of flowers. Especially popular in the Victorian era, each type and color of flower was attributed with meanings and sentiments. People then used flowers to symbolically convey messages. For example, pansy = loving thoughts, white carnations = remembrance, yellow rose = infidelity, thistle = misanthropy. The main character, Victoria, a newly emancipated foster child in San Francisco, is kind of obsessed with flower meanings. She reconciles multiple flower dictionaries (an actual thing!) to make her own, which is included in the back of the book. I always enjoy books that take place in Northern California (my home), since I can exactly picture and feel the vineyard/flower farm/farmer’s market an hour north of San Francisco. This is a great quick summertime beach/pool reading type of book. Good and interesting, but not difficult. More reviews from the NYT and Washington Post.